The Ray Smith Symposium in the College of Arts and Sciences continues with a lecture on the role of advocacy in humanities education. Margaret Ferguson, Distinguished Professor of English at the University of California, Davis (UC Davis), and past president of the Modern Language Association (MLA), will discuss “Professional Organizations and Advocacy: The Case of the MLA” on Friday, Nov. 6, at 2 p.m. in 010 Eggers Hall. Her lecture is free and open to the public, and is followed by a reception. For more information, contact Ashley O’Mara in the Department of English at amomara@syr.edu. For live updates, follow @FutHumanitiesSU and #FutHumSU. Ferguson’s lecture is the third in a series of six that are part of this year’s Ray Smith Symposium, whose theme is “The Future of Graduate Education in the Humanities.” The symposium is enabled by a major bequest from the estate of Ray W. Smith ’21, administered by the College of Arts and Sciences. “Professor Ferguson will consider past and present debates within the MLA about the kinds of advocacy work that are appropriate for a professional association of humanities teachers and scholars to engage in, both on behalf of members’ working conditions and for causes deemed politically controversial,” says organizer Crystal Bartolovich, who also serves as an associate professor of English and director of that department’s graduate studies program. Ferguson is expected to focus on two areas: competing views over how the MLA should respond to the lack of tenure-track jobs in the humanities and the call to endorse the U.S. Campaign for the Academic and Cultural Boycott of Israel (USACBI), launched more than a decade ago, in response to the Israeli occupation of Palestinian territory. A highly regarded teacher-scholar, Ferguson was elected to the American Academy of Arts and Sciences in 2014—the same year she presided over the MLA. She currently chairs an MLA Working Group on K-16 Educational Alliances, which focuses on creating and supporting partnerships among teachers of writing, literature and languages at the primary, secondary and post-secondary levels. At UC Davis, Ferguson is known for her groundbreaking work in early modern literature; literature studies; and feminist theory in English, French and Italian. She is a prolific writer; sought-after speaker; and devoted scholarly servant, as evidenced by her board work with the MLA, Renaissance Society of America and Shakespeare Association of America. 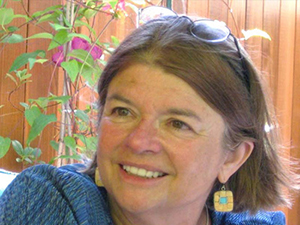 Ferguson has previously held faculty positions at Yale University, where she earned a Ph.D. in comparative literature; Columbia University; and the University of Colorado Boulder. She has served as a visiting faculty member at UC Berkeley and Middlebury College. Harvey Teres, Dean’s Professor for the Public Humanities, says Ferguson’s visit—and this year’s Ray Smith Symposium, in general—is indicative of the changing relationship between the academic and public humanities. Upcoming Ray Smith events are Christopher Newfield, professor of English at UC Santa Barbara, who will lecture on “Funding the University” (Feb. 19); Sunaina Maira, professor of Asian American studies at UC Davis, “Inclusion and Exclusion in Higher Education” (March 24); and Maria Maisto, a board officer of the New Faculty Majority, “Casualization of Professorial Labor” (April 22).